There’s always something going on at MIT! Let us help you find what you’re looking for. Search for lectures, performances, and participatory events throughout the year. Please note that departments are not required to submit information to the calendar; if you are looking for the location of an event that is not listed, please call the department directly using the Offices and Services Directory. 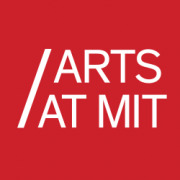 The Arts at MIT calendar lists event information for campus happenings related to the arts. Your source for athletics schedules and information. The MIT Museum hosts a number of public events throughout the year.